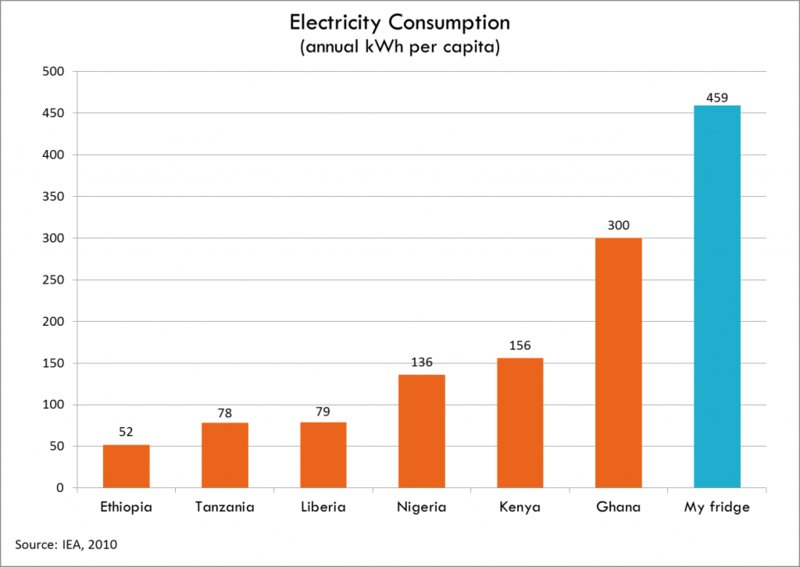 Only about one-third of the population of sub-Saharan Africa has access to electricity. Last June President Obama announced the Power Africa Initiative, which aims to increase access to electricity in sub-Saharan Africa, starting with six pilot countries: Ethiopia, Kenya, Liberia, Nigeria, Tanzania, Uganda and Mozambique. The Electrify Africa Act passed in the House on Thursday. Assuming it passes in the Senate, $7 billion dollars over the next five years will be spent on improving access to electricity in the six Power Africa partner countries. Concerns have been voiced that the Power Africa Initiative will negatively contribute to climate change if a conscious effort isn’t made to focus on renewables. A recent opinion piece published on Al-Jazeera questioned whether it would be possible for Africa to skip the carbon energy age in its pursuit of electrification. Pointing to the low levels of access to electricity and the vast and often sparsely populated geography of the continent, the author asks whether conventional energy projects and power grids would even make sense in many parts of Africa. 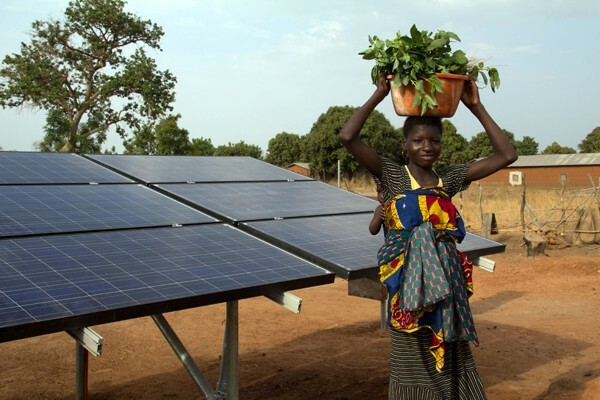 Instead he highlights the growing trend towards solar power and other renewables in many of Africa’s more remote regions. This article and others suggest that electrification in Africa should be modeled on the mobile phone revolution–African essentially leapfrogged the construction of telephone lines and went straight to using mobile phones. In the same way, it might be possible in many countries, to forego construction of large grids or fossil fuel reliant power plants and instead focus on household or community level grids using solar or wind power. A great model for electrification initiatives in Africa is Kenya’s decentralized energy delivery system. Kenya already has a heavy focus on renewables and has committed to completely switching to renewables by 2025. Rwanda is also planning a switch to 100% clean energy by 2020. While these types of plans may be too ambitious for all countries in sub-Saharan Africa, it makes sense to try to take action both on curbing climate change and reducing energy poverty. Working on these goals simultaneously has potential to avoid some of the problems faced in countries with large fossil-fuel based energy production sectors. In those countries, like China for example, there are already a lot of sunk costs associated with infrastructure for coal or other fossil fuels and so there is a great deal of entrenched interest in not switching to renewables. 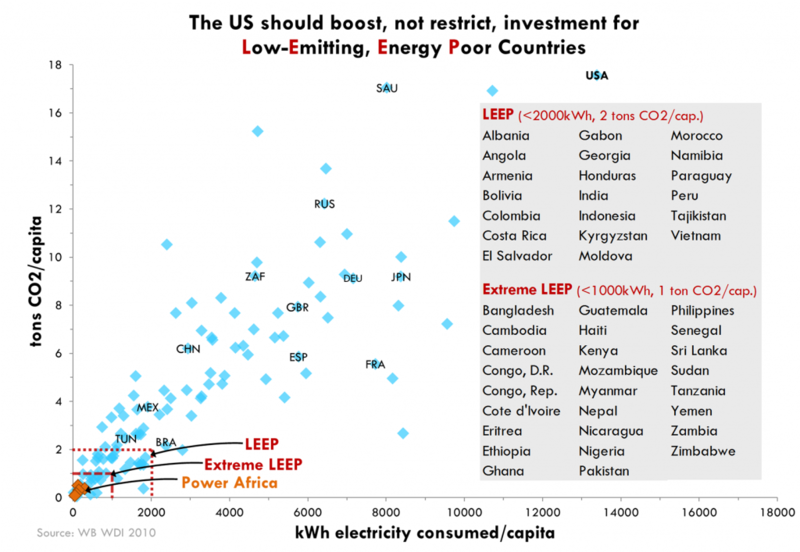 However, in low-emitting, energy poor (LEEP) countries, where that infrastructure does not already exist, there is huge potential in moving straight to renewables. Rather than only focusing on the major emitters today it is imperative to also consider which countries might be the major emitters ten or twenty years from now. A significant focus on promoting renewables in African electrification could keep the Nigeria’s of today from becoming the China’s of tomorrow.